Comments: Maximum 2 pets per apartment. Additional monthly rent & deposit applies per pet. Requirements: Minimum 1 year in age, spayed or neutered, current with all shots, health check-up prior to move-in and a current picture for files. Restrictions: Breed restrictions apply. 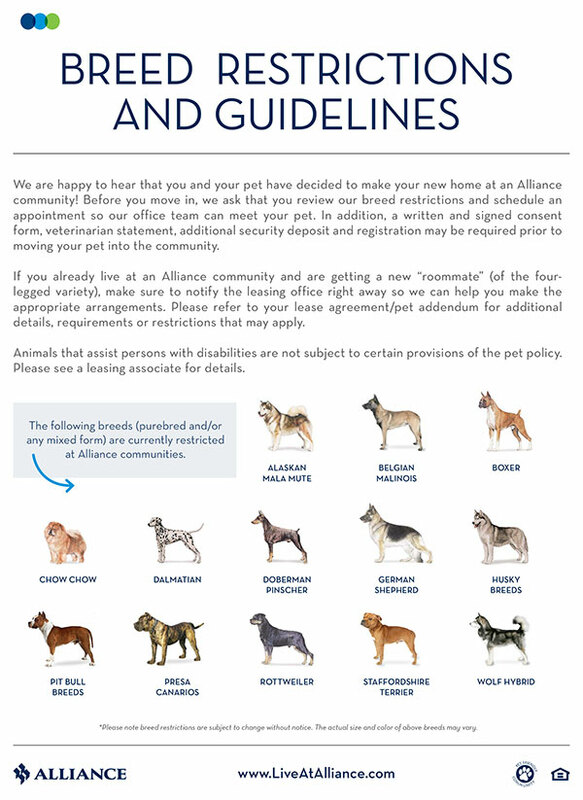 Click here to review our Pet Policy.